Who is curious about tourism during communist regime in Albania? Well that time Albania was truly isolated. But this doesn't mean we don't have tourists. Most of visitors came from other communists countries, with which Albania had good economic and trade relations. The tourists visiting our country that time considered themselves lucky, because it was almost impossible to see and witness how people live in dictatorship regimes. It was something forbidden, the same like North Korea today, or Cuba two decades ago. Not everyone had the chance to see these countries. 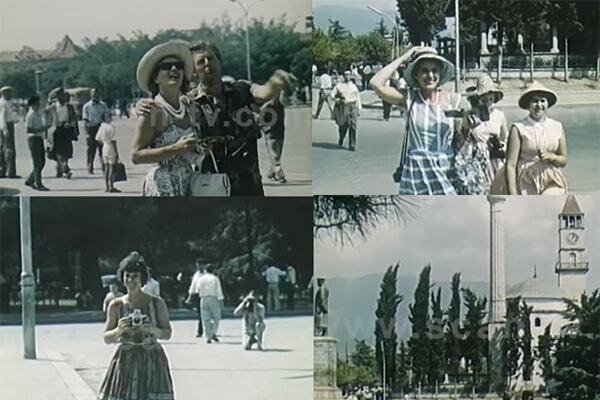 Some rare images presenting the tourism in Tirana, in 50's were published these days in SCAN TV, Albanian local television. It is a documentary produced in 1963 by Albanian Kinostudio, which now is turned in colors by a laboratory in Hungary. The video shows that despite the low numbers of tourists, the industry was well organized. 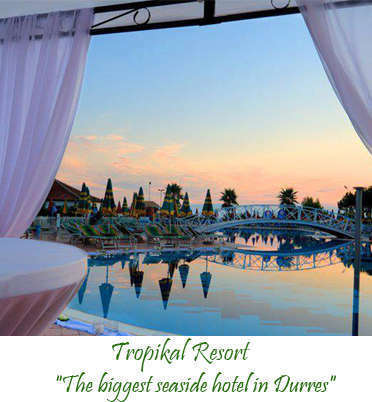 Tourism was not a priority for Albanian economy, but we had a National Enterprise of Tourism, similar to National Tourism Agency we have today. The tourists had a dedicated bus. They were accompanied by tourists guides, who knew very well the history and were instructed perfectly what to tell or not to tell to a foreign visitor. The guides of that time knew also foreign languages like English, French, Russian etc. Visitors were warned to respect some rules in the communist country since their arrival. First of all, their traveling visa was not longer than one month stay. All the devices they had, such as camera, or radio they had to declare in checking points, in Durres port or Airport. The tourists were advised how to wear, not to go in streets with exaggerated short skirts or swimming suits, because it was forbidden. If you see this video, the tourists’ behavior was very careful in streets. Their dress is more than normal, and the only accessory is the hat or a small bag. The only detail that shows they were tourists is the camera they have, taking photos everywhere and smiling. 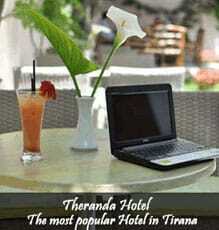 The video also shows how they were welcomed at Dajti Hotel in the main boulevard of Tirana. 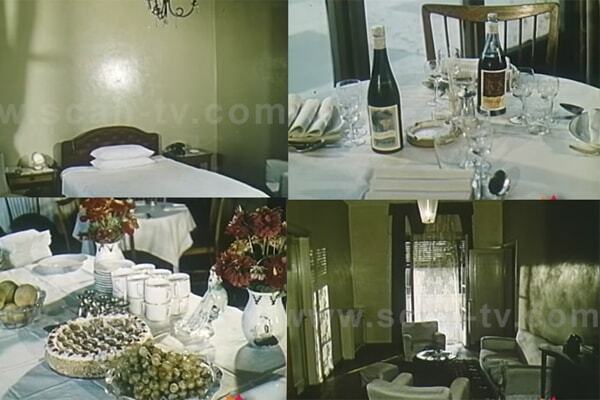 The restaurant, the table service, the fruits and foods of that time, are part of documentary too. Dajti Hotel was the most modern hotel of that time and probably the most spied. It looks like a movie of very old time, but many Albanian who lived in that time, are still alive, and they have their stories with tourists, because some of them worked in this small industry of hospitality. Some workers at the port are seen in the movie waiving at the foreign guests while they taking the bus. One fact never changes: Albanian warm welcome and hospitality. We treat a visitor as a guest, not as a tourist.